Hocking College is always eager to connect with former students. The opportunities to explore campus, meet current students, discover job openings, and much more are all available through the many programs that Hocking College has designed for alumni. Here are seven ways for alumni to engage with their alma mater. 1. Partner with the Hocking College Foundation. The Foundation is designed to help engage Hocking College graduates and community members with current students. Aside from operating a scholarship fund that graduates and the community can contribute to, the Foundation also hosts campus events such as Homecoming. Homecoming is where alumni can network with other students and discover the different opportunities happening around campus. The Foundation also publishes monthly newsletters that alumni can subscribe too to keep up-to-date on campus news, information, and activities available to alumni. For more information, visit the Hocking College Foundation's website. With the dawn of a new school year, alumni can connect with campus by attending sporting events to support the Hawks. Football, basketball, volleyball, and archery are all sports that alumni are encouraged to attend. A full schedule of Hocking College Athletics can be found on the Athletics Website. 3. Use the Student Center. The Student Center is open for use by current students, faculty members, staff, community members, and alumni. The Student Center facilities include access to the weight room, indoor track, cardio machines including ellipticals, treadmills, and cycling bikes, a rock wall, indoor lap pool, basketball courts, and much more. At the Student Center, alumni can interact with current students and become integrated with campus. Alumni can purchase daily, monthly, or yearly passes to the Student Center. 4. Take Part in Hire-A-Hawk. The Hire-A-Hawk program is a program designed to help current students find jobs with potential employers, most of whom are former Hocking College students. Employers simply complete and submit an application to Hocking College's HR Department and they will match them with students who are looking for more job experience. This program is just one of the many ways that Hocking College supports its graduates and current students through professional development. 5. Follow Hocking College on Social Media. Hocking College & the Hocking College Alumni Association manages many social media accounts including Facebook, Instagram, Twitter, Snapchat, Youtube, and Pinterest. Follow Hocking College and the Alumni Association to keep up on current events and opportunities for engagement. Links to all of Hocking College's main social media accounts can be found at the bottom of their website. 6. Subscribe to Hocking College's Blog. 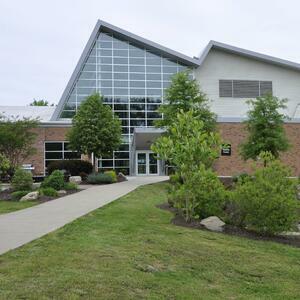 Hocking College's daily blog covers a variety of topics. Subscribe to the blog for daily updates on campus and community news, future plans, new programs, events, and much more. An easy way to support the Hawks is by heading over to the Bookstore to buy Hocking College Hawks gear. T-shirts, sweatshirts, jackets, hats, and more are all available for purchase. Specialty gear is also available for certain programs and make great gifts for that special someone. For more information about the Bookstore’s hours of operation, selection, and promotions, visit the Hocking College Bookstore website. Alumni will benefit by connecting with their alma mater in many ways. From professional development, to investment opportunities and health benefits, the advantages of reconnecting with Hocking College are endless. If you're an alum and are looking for more ways to get involved, contact the Hocking College Foundation at alumni@hocking.edu, or come to campus and experience for yourself everything Hocking College has to offer.